There’s three generations of classic Hemi Dodge Chargers that are really collectible. First is the 1966-1967 model. Then came this one. And finally, the 1971-1974 model. This is the most famous body style of the original Dodge Chargers. It is the one that Bo and Luke Duke tore around in. This is a Hemi, meaning it is powered by a 7.0-liter V-8 rated at 425 horsepower. This is also an R/T car, meaning is has the “road and track package” which adds dual exhaust and heavy duty brakes, among other things (including the standard 440 engine or the optional Hemi). This car has a rare 4-speed transmission and is the only such example with this color paint, which is actually quite nice. It’s been exceptionally restored. 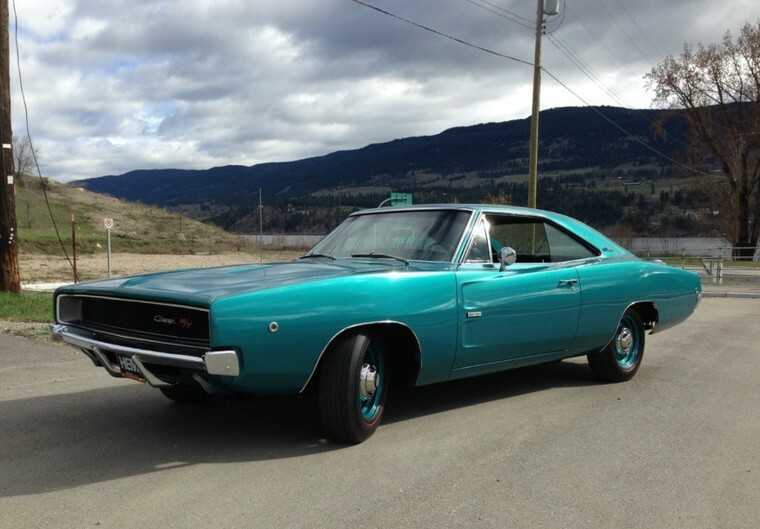 Only 467 1968 Chargers were equipped with the 426 Hemi and this is one of the nicest. Click here for more info and here for more from Russo & Steele. This entry was posted in Uncategorized and tagged 1968, auctions, cars, charger, classic cars, dodge, hemi, muscle cars, r/t, russo & steele by classiccarweekly. Bookmark the permalink.